If you would like to gain valuable and worthwhile international experience in fields such as Medicine, Journalism, Law and Human Rights, Business, International Development and Veterinary Medicine, then Projects Abroad is the perfect fit for you! We offer a great variety of internships all over the world for you to add international experience to your resume. Travelling abroad with us is the perfect way to gain international experience in a productive and worthwhile setting. You will live and work with people from all over the world while discovering a new and exciting culture. 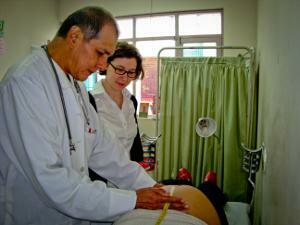 Projects Abroad has been sending interns and volunteers on overseas trips for over twenty years. 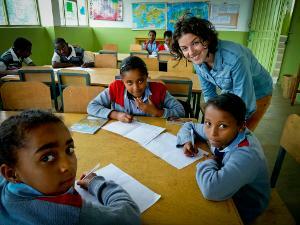 We send over 10,000 interns and volunteers abroad annually to almost 30 different destinations. Our 600 full-time local staff are there to help you adjust to your new environment and answer any questions you might have. You can gain international experience doing a program for as little as one week or you can work with us for several months, and the start and end dates are absolutely flexible. There are hundreds of different projects to choose from. No matter what type of internship or volunteer experience you are interested in, Projects Abroad has the right one for you. By volunteering abroad you will have the opportunity to make a real difference in the lives of people in the world’s less developed countries. You will create the memories of a lifetime, whether it’s by working a nursing intern in India or interning for a business in China. Interning abroad will give you a much better understanding of the country you are travelling to and give you a more in-depth international experience in your field of interest.